Despite the varied differences that restaurants or pubs may have, the one common denominator that they have is the need for drinkware! 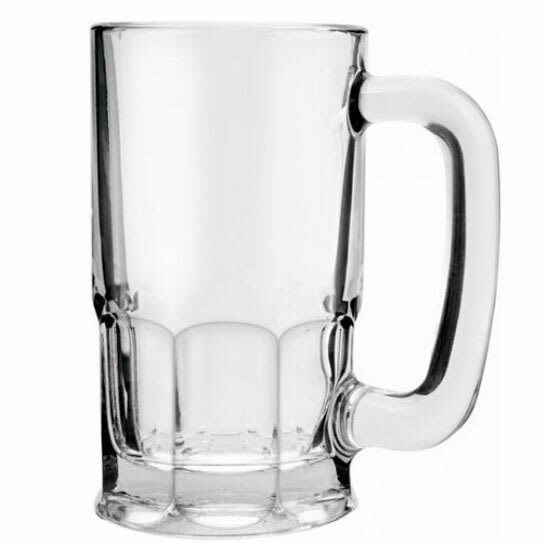 And with the Anchor Hocking beer wagon mug, you can serve any drink to your customer. 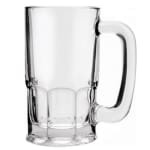 This durable crystal mug is the ideal piece of barware and is designed to hold 20 oz. The large handle is easy to grip and hold and these mugs are sold in cases of 6. This durable crystal mug is the ideal piece of barware. The tall design of this 20 oz. mug holds the perfect amount of your desired beverage, with an large handle that is easy to grip and hold. These beer wagon mugs are sold in cases of 6. Capacity 14 - 20 oz. "Still awaiting the rest of my order for the remaining mugs. Thought they should've been here by now. Can someone check on that for me please?" "It is hard to find 20 ounce mugs and I was happy when I found that your company had them available at a reasonable price. But, they are chipping..."
These mugs are not a sturdy as I expected them to be. "It is hard to find 20 ounce mugs and I was happy when I found that your company had them available at a reasonable price. But, they are chipping and I have already lost at least 8 mugs out of the 4 cases I purchased. They are not as sturdy as I expected them to be. Disappointed."